As a result of our mission trips, we have identified that many of the illnesses can be traced to the lack of clean water. 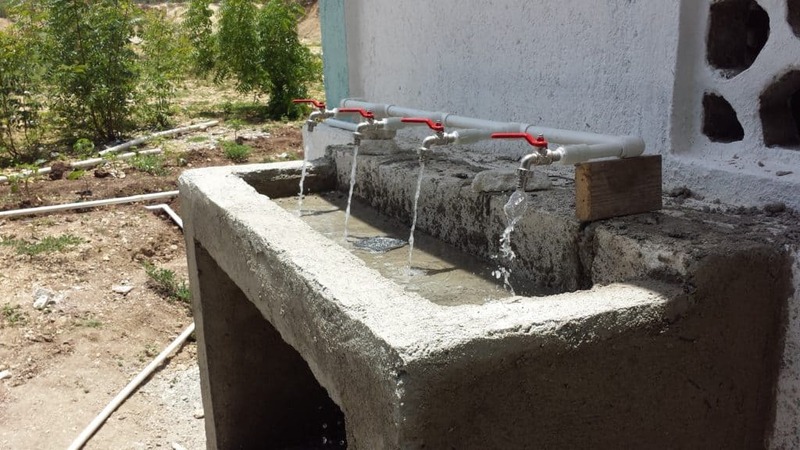 Therefore, Helping Hugs has initiated a “Clean Water” project to help improve the health and hygiene of the people of Côtes-de-Fer. Attempting to break the cycle of poverty, Helping Hugs, Inc. has sponsored the cost of education for children of the St. Joseph Parish. Many of the families cannot afford to give their children an education and so Father Jude and now Father Islaire are grateful for the assistance we provide. Many families have no source of income and therefore cannot escape the poverty level of their existence. Well chosen grants to seed a small business can bring a family income and change their lives. We also help improve building structures in which the community lives, works and plays within. 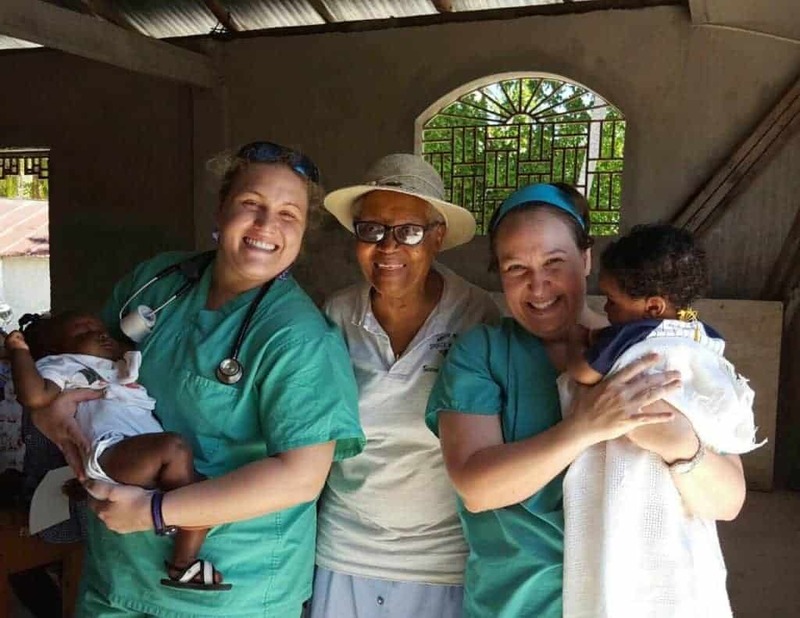 Since 2009, Helping Hugs, Inc. has conducted five mission trips to Côtes-de-Fer, Haiti. At least one nurse has been part of the team on each trip to teach chapel directors and others how to use the first aid supplies and medicines that we bring. In addition to the medical supplies, we have made a number of shipments of personal hygiene items and over the counter type of medicines. Helping Hugs Inc for Haiti"Fête for Haiti Dinner Was a Success! A dinner to support and celebrate, "The Spirit of Giving" for Education, Medical Mission, Infrastructure and Water. This couple is the oldest couple in the village. They are actually in the mid-60s. The life expectancy is about 65. When you donate to Helping Hugs your gift makes a big impact! 95 cents of every dollar helps to feed, house and educate the community of Côtes-de-Fer, Haiti. Our mission is to help distressed communities in need of infrastructure, educational support, medical services and clean, potable water. 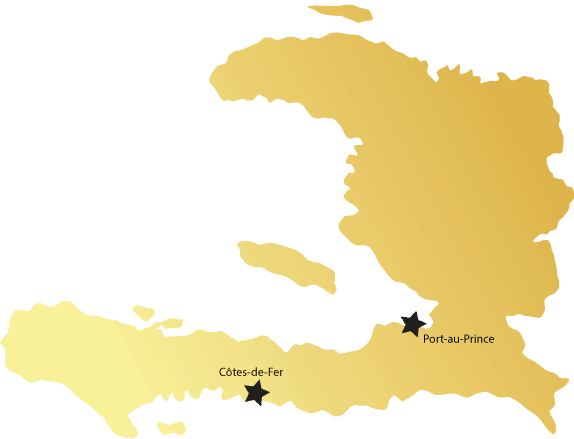 Help the community of Côtes-de-Fer, Haiti with food, education, infrastructure, clean water projects and medical supplies & services. Amazon will donate 0.5% of the price of your eligible AmazonSmile purchases to Helping Hugs whenever you shop on AmazonSmile. Helping Hugs, Inc. and St. William Church have joined the Parish Twining Program of the Americas and are working closely with Father Islaire, pastor of St. Joseph Church in Côtes-de-Fer. Our mission is to help distressed communities in need of material, educational, or medical supplies. As a result of our mission trips, we have identified that many of the illnesses can be traced to the lack of clean water. Therefore, Helping Hugs has initiated “Clean Water” projects to help improve the health and hygiene of the people of Côtes-de-Fer. Attempting to break the cycle of poverty through education, Helping Hugs, Inc. sponsors 3 schools for children of Côtes-de-Fer. Many of the families cannot afford to give their children an education and thecommunity is grateful for the sponsorship. A major project for 2018 was to provide a roof for the St. Lawrence Chapel. That project has now been completed. 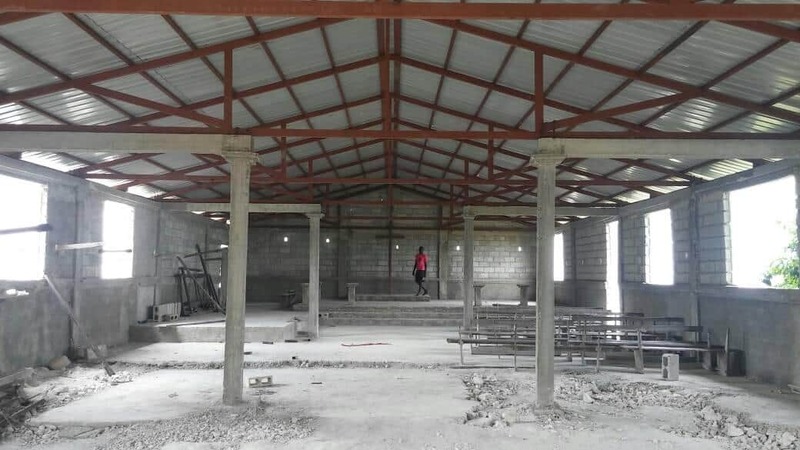 Parishioners in Bouca Moran, Haiti can now attend Church and other community events without the concern of adverse weather conditions. During our medical mission trips, we take the opportunity to distribute personal hygiene items and over the counter type of medicines. The items donated by our partner, The Links, and parishioners of St. William Church are used as gifts and an opportunity to teach hygiene as disease prevention. St. William Church is located at 2300 Frederica Road, St. Simons Island, GA. The church entered the Twinning Program with St. Joseph of Haiti in 2008. One of our major projects for 2018 was to provide a roof for the St. Lawrence Chapel – it is now complete. St. Lawrence is one of the 10 chapels under the care of Father Islaire Faustin. 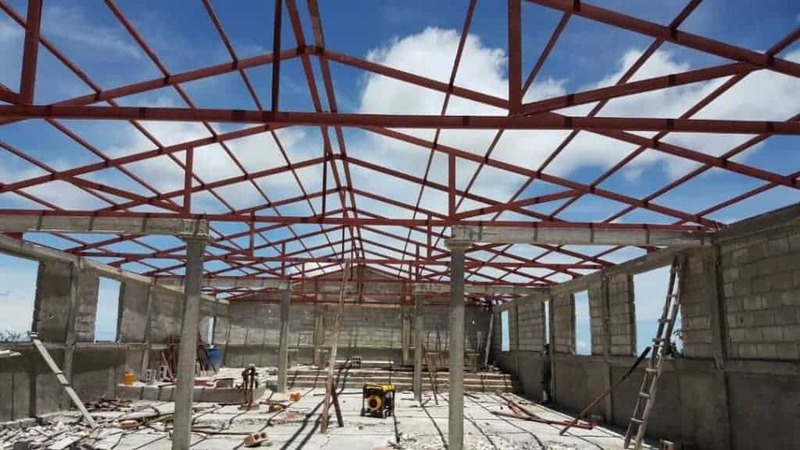 Parishioners in Bouca Moran, Haiti will now be able to attend Church and other community events without the concern of adverse weather conditions. Thank you to all who helped make this possible. 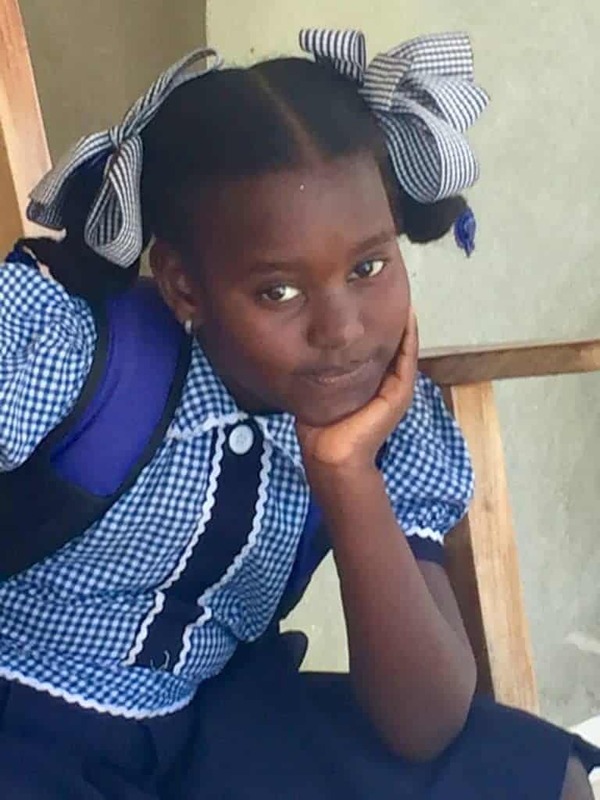 Getting an education in Haiti is difficult but because of you most kids can go to school and look forward to getting a job to help support their family. Helping Hugs, Inc. supports 3 schools with over 250 kids and we were dependent on your support for the 2018 – 2019 School Year. 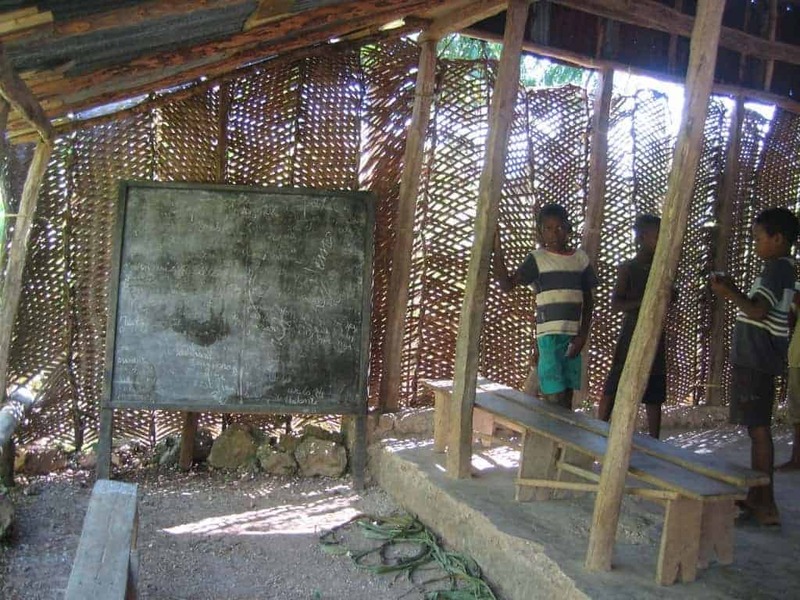 The cost to operate the schools this year is estimated to be $16,000. Most families do not have the money to send their children to school. For many children their only meal for the day is the one they receive at school. You can help them by making a donation today. Our “Education Campaign” ran from June 15th to August 15th. We are pleased to announce that we have succeeded in reaching our goal of $16,000 thanks to you. We can now fully operate the three schools for 2018 – 2019. However, if you would like to help us improve our educational facilities by introducing technology to the classroom, please visit our “Donation Page” and make a difference. Please send me email announcements, including your periodic newsletter.